‘Mousseux du Japon’ is a very stricking and deeply mossed rose of unknown provenance. 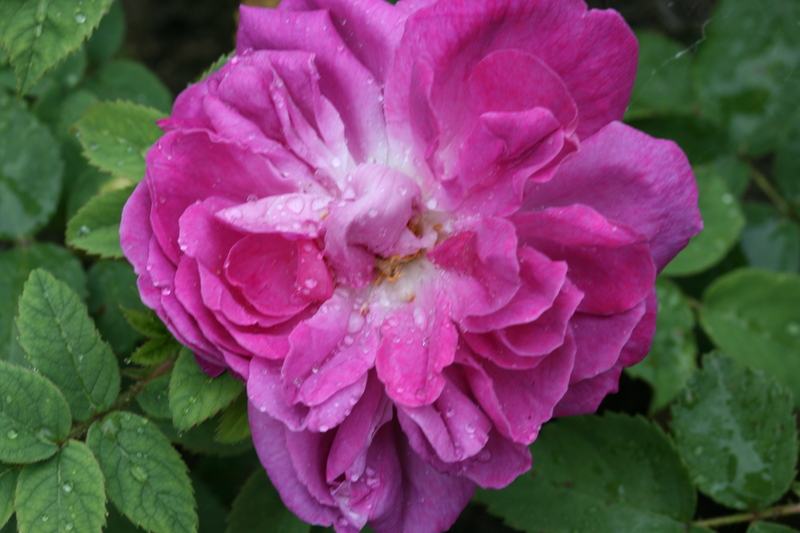 The rosarium in Sangerhausen thinks this rose appears to have originated in the Cochet-circle of rose breeders and rosarians in France about the time there was much experimentation in that group utilizing the Japanese rose Rosa rugosa. The young shoots are covered in soft apple-green moss for their entire length; the moss spreads to the leaf-stalks and is off course on the buds. The leaves, with strongly serrated edges, are purplish when young and mature to a nice dark green. 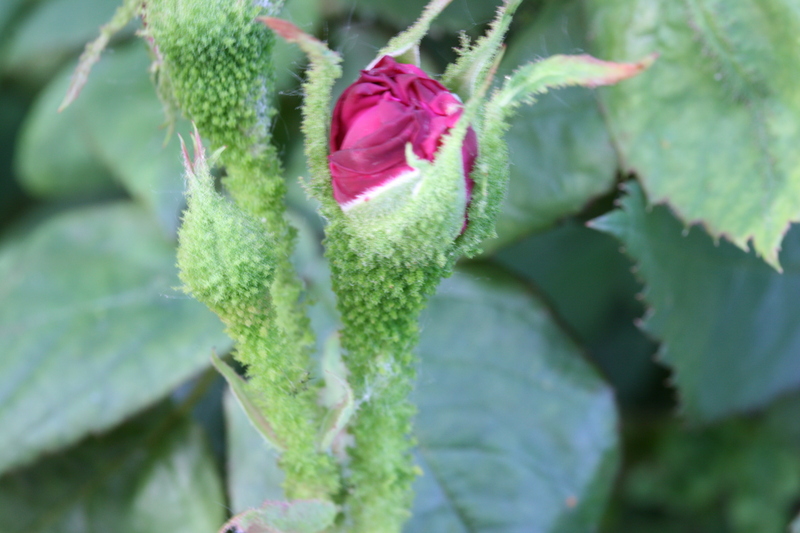 The small extremely mossed buds open later than most once flowering moss roses and show soft lilac-pink semi-double flowers with pronounced stamens. Hi – love moss roses. How wonderful to find a website that talks about them in such depth. I am from Canada.